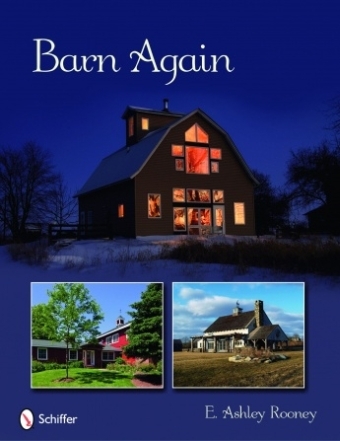 Quohog Bay Barn is featured in this coffee table book. "Today, many barns across the United States have outlived their original usefulness and are being destroyed, while others are slowly collapsing. Yet, some creative architects, developers, and homeowners exploit the flexible space offered by barns. They provide striking construction, impressive space, and an imaginative play of sunlight and shadow that makes them a delight to inhabit when converted into a residence, office, retail establishment, nonprofit center, and much more. Over 240 beautiful color photos and informative text explore possibilities for transforming barns to living and working space featuring unique sight lines and vaulting open spaces. This book will be a treasured reference and source of ideas for homeowners, architects, and designers alike."